Hey everybody! Are you ready to make some noise? Well you better be because the Music Jam is here and here to stay for the rest of the month of July. This is how the party map looks like at the moment. It's a cruise ship. That's right, we're going on a cruise! 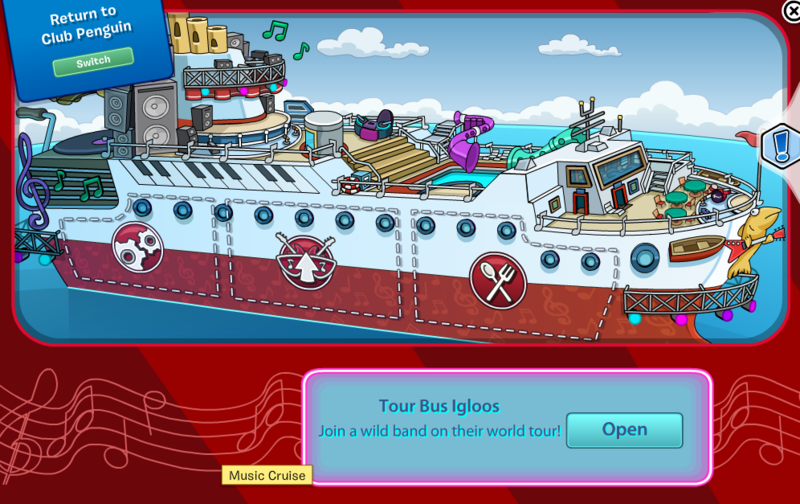 If you head over to the top of the ship you'll be able to witness live shows done by famous penguins. 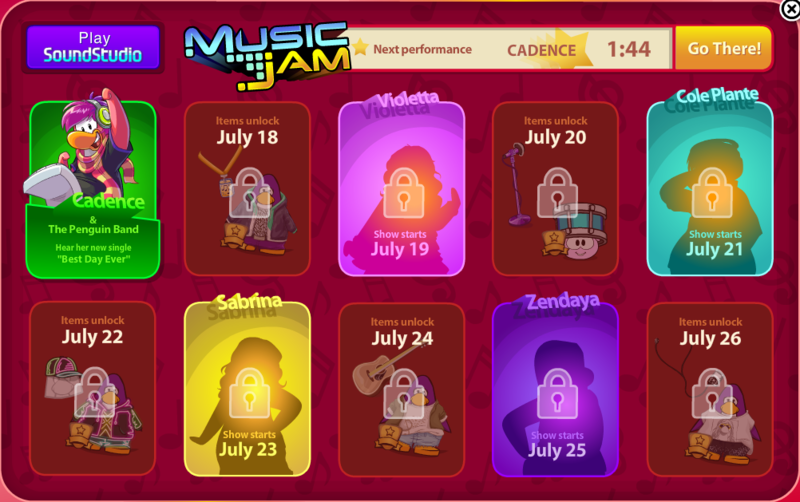 Right now, Cadence is the only one rocking out at her live shows. There will be more shows by other famous penguins but we'll talk about that later. So to pretty much take a look at what we can do this party you're going to need to click this colorful icon at the top right of your screen. Note: Learn how to play the new SoundStudio game! A red screen will pop up with all of the famous penguins you can meet at this party as well as all of the items you can collect. All you have to do is wait until the dates above to meet these famous penguins (or unlock the items). That's pretty much it for this party. There's not much else to do. What do you think of this party? I give it a 5/10. Let me know what your rating is in the comments. 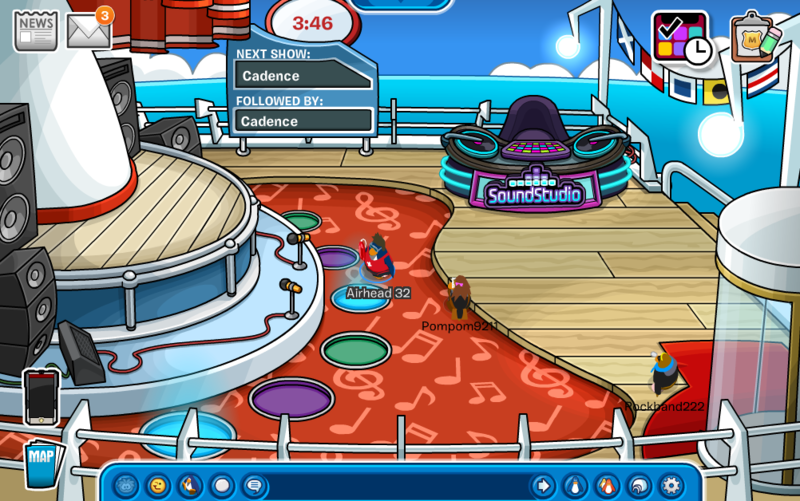 I give the music jam a 0/10 the party is really bad, disappointed in CP. Why do you give it a 0/10? I'd like to know. It's okay but I like the cruise ship idea.